Bernard van Heck has won the Christiaan Huygens Prize 2016 for his Leiden PhD research on electrical circuits for quantum computers. On behalf of the KNAW and the Huygens Prize Committee, the Dutch minister of Education, Culture and Science awards this prize annually to an early-stage researcher who has made an innovative contribution to science. Scientists across the globe are working hard on realizing the first quantum computer—a revolutionary machine which computes differently than conventional computers. A promising way of building one is with the use of Majorana particles, which are predicted to appear in carefully crafted superconductors. These particles possess a special property: they can 'share' a quantum state while being far apart, and 'hide' it from the environment. Furthermore, by moving the particles around each other—'braiding'—their shared state can be changed in a controllable way. These properties make Majorana particles well equipped as building blocks for a quantum computer. To perform calculations, a Majorana quantum computer will have to manipulate its building blocks somehow, like a classical computer switches its transistors on and off. In this case this turns out to be difficult, however, because unlike the electrons moving in a transistor, Majorana particles have no electric charge. Van Heck, together with several colleagues, has developed a method to manipulate Majorana particles without actually touching and moving them. Importantly, the method uses standard electronic components—capacitors and inductors—in order to 'braid' the particles, and so it is practically feasible in the laboratory. Several international research groups have picked up Van Heck’s method to try and build a real-world quantum computer. Bernard van Heck (1986) preformed his PhD research under supervision of Prof. Carlo Beenakker and dr. Anton Akhmerov. Currently, Bernard is a postdoctoral associate at Yale. 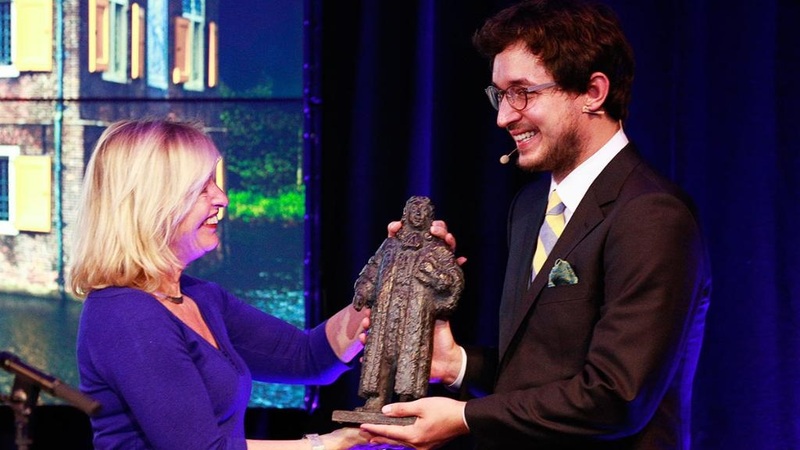 Dr. Bernard van Heck received his award, that comes with a money prize of €10,000.-, from Minister Jet Bussemaker at the Shell Generation Discover Festival. Shell is one of the sponsors of the Christiaan Huygens Prize. 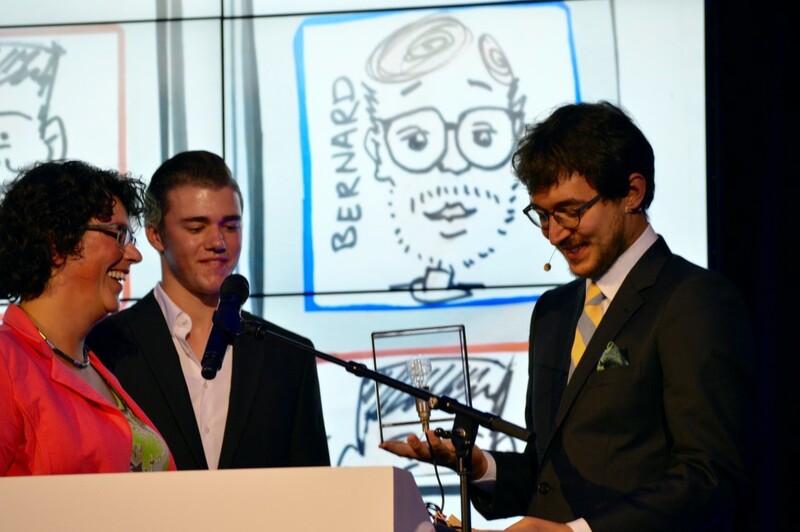 Together with the two other nominees, Said Rodriquez and Stefan Gadatsch, Bernard was also nominated for the Christiaan Huygens Youth Prize. Over 15.000 young people in the Netherlands cast their votes. For the competition, YouTech created video clips on the research of the nominees (like the one on Bernard's work, see above). All three clips can be found here. Also here Bernard was chosen as the winner.